Don doesn't need to keep other people off his PC. He asked me how he could skip the logon screen and boot directly into Windows without a password. My first piece of advice would be to leave your computer as is. That password is important. Without it, your PC is vulnerable. Anyone who can get physical access to your PC can also get access to your files, email, and so on. They may even be able to send email as you. On the other hand, it would be nice to turn on your PC, walk away, come back a few minutes later, and be ready to work. Besides, it's not the difficult for someone else to remove the Windows password. Of course, you could (and should) protect your most vital files with a third-party encryption tool. Windows 7 & Vista: Click Start, type netplwiz, and press ENTER. Windows XP: Click Start>Run, type control userpasswords2, and press ENTER. Windows 8: Use the Search Charm to search for netplwiz. In the Apps section, click or tap netplwiz. Once you're in the dialog box, make sure that your account--the one you boot into--is selected. 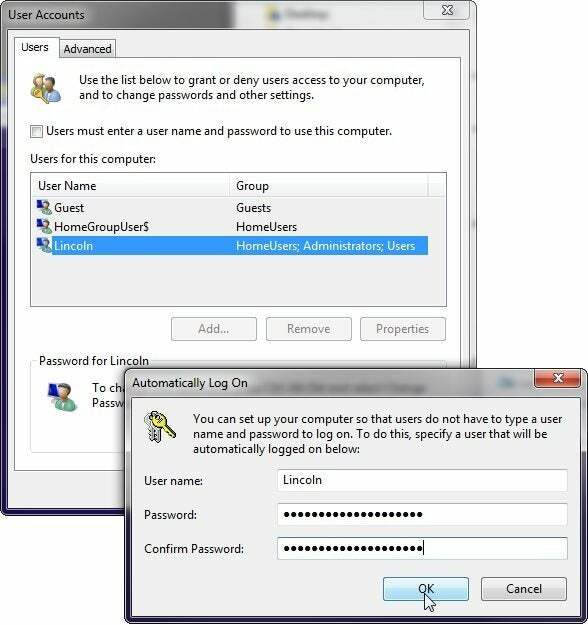 Then uncheck Users must enter a user name and password. When you click OK, you'll be asked to enter your password twice. Do so. 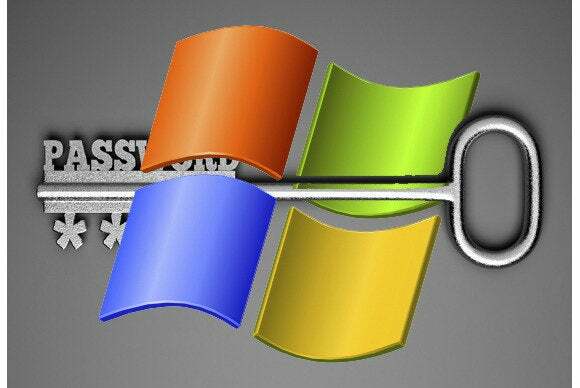 The next time you boot, Windows will load up on its own without asking for a password. But you may still be asked for a password--not from Windows but from your hardware. You'll need to go to your setup screen to turn it off. Search the Web for BIOS password and your PC's make and model number. You'll probably find a fix.